Advancing rights and opportunities for women and girls around the world is both the right and the smart thing to do. Women’s rights are now widely recognized as fundamental human rights. In addition, women are critical to solving virtually every global challenge, so investing in them is also a strategic imperative to advance critical US foreign policy interests, including economic prosperity, stability and security. 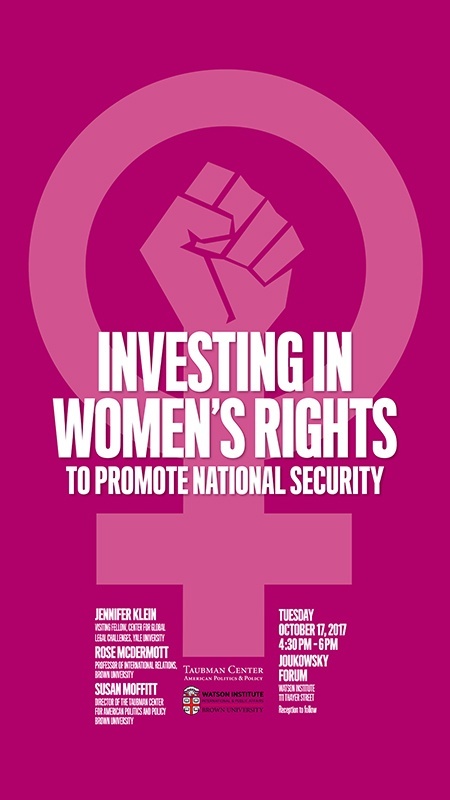 This panel will highlight both the moral and strategic cases, examine what it means in practice to put women at the center of international diplomacy and development, and consider the current state of affairs in the global quest for gender equality. Jennifer Klein is a Visiting Fellow at the Yale Law School Center for Global Legal Challenges. She is currently associated with Dalberg Advisors, providing expertise to non-profits and foundations on domestic and global women’s issues, and is also an Adjunct Professor at Georgetown Law School. Klein served in both the Obama and Clinton Administrations. During the Obama Administration, from 2009 to 2013, she was Deputy and Senior Advisor in the Office of Global Women's Issues at the State Department. During the Clinton Administration, she had a dual appointment as both Domestic Policy Advisor to the First Lady and Special Assistant to the President for Domestic Policy. Most recently, she served as Senior Advisor on Women’s Issues for the Clinton campaign and transition team. Before joining the Clinton White House, Klein practiced law at Simpson Thacher and Bartlett in New York. She received a BA from Brown University and a JD from Columbia Law School, after spending her third year of law school at Yale. She currently serves on the boards of the International Center for Research on Women, 1,000 Days, the Greenwall Foundation, and the Brown University School of Public Health.